Yesterday I made an emergency stop to CVS to pick up some milk (ran out in the middle of making mac n' cheese!) and medicine -I've been suffering from an awful cold. 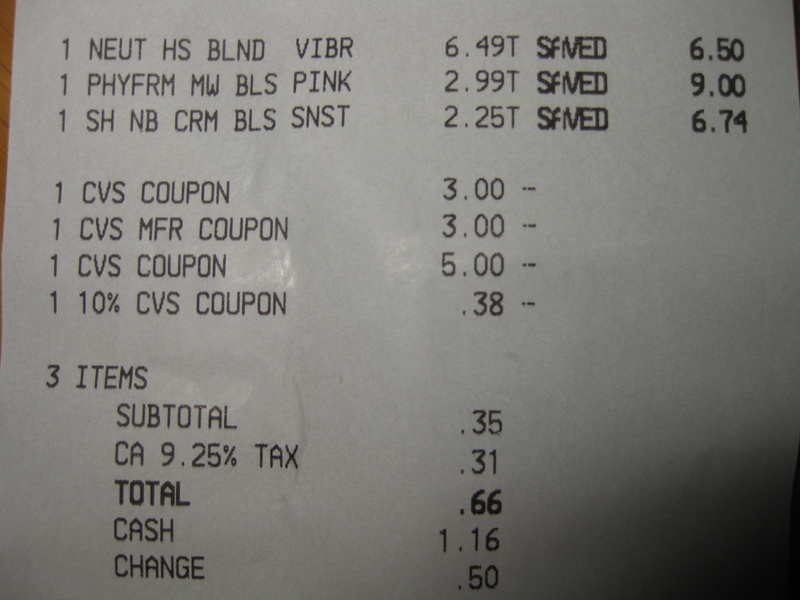 Before heading to the register, I scanned my CVS card and got a $3 off $10 beauty purchase coupon! I decided to pick up some clearance makeup since I had some extra coupons to stack. I also had a $2 off Neutrogena coupon but I couldn't find it in time -I didn't want to hold up the line. But 66 cents for three blushes is a great deal already. Also, I think I should've had her scan the 10% off coupon first because after the other coupons, the "total" had already been reduced -I probably would've saved more. Also, just to give everyone a head's up, I probably won't be doing a Nudey Tuesday tomorrow. I'm sick and don't want to "contaminate" any of my makeup. Also, I do have some reviews that I've been working on already on my computadora but because I'm feeling really under the weather, I don't know if I'll have the energy to edit and upload -reviews do take a lot of work and love. Sorry in advance! Such great finds! 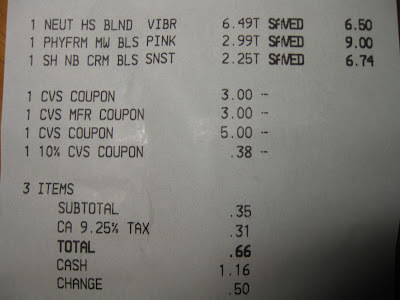 I have never shopped at CVS before following your blog. I am now their regular shopper. I hope you feel better soon. awesome deal!!!! :) i am heading out to CVS i hope ill find some deal ;) i hope u feel better! @ PetiteLittleGirl.. Aww I'm glad that you're now a regular shopper -they have some great deals! Whaaaaat?! 66cents. Only in crazy US of A! Seriously amazing savings. It takes a bit of maths to get my head around just how you managed it since 66 cents! (I just can't stop repeating that, lol). wow I would be all over that stuff if we had CVS in Canada! Get well soon... Take care! I love that PF blush! So pigmented and great quality. 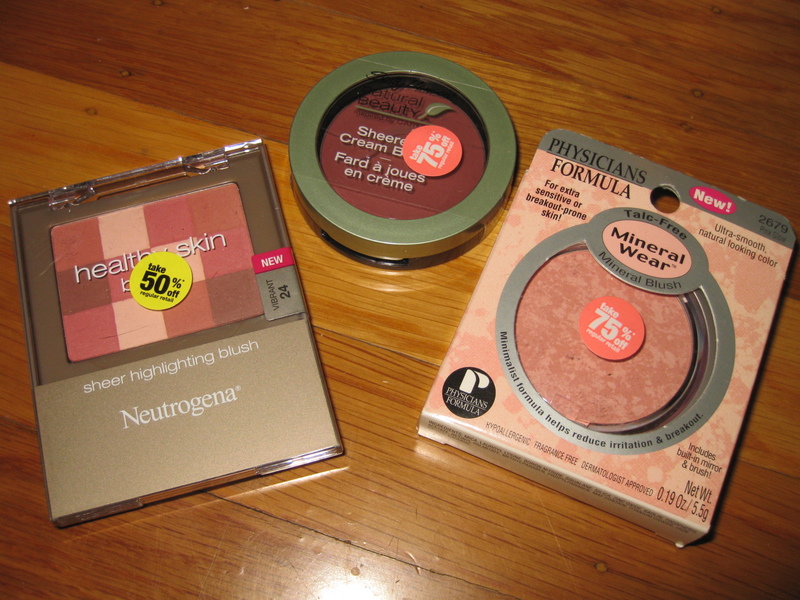 I combined copons when I got some PF blushes and an Almay powder and I got it for negative $2! New follower, wow you had me at 3 blushes for .66 cents, great deals!